Peripheral neuropathy is a condition that results from damage to the body’s peripheral nervous system. The peripheral nervous system consists of the nerves and ganglia outside of the brain and spinal cord. The primary function of this nervous system is to connect the central nervous system to the limbs and organs. In other words, the peripheral nervous system provides communication between the brain and the extremities. There are many causes of peripheral neuropathy. One of the more common causes of peripheral neuropathy is diabetes. In fact, more than half of people with diabetes develop some neuropathy. Other reasons include alcoholism, autoimmune diseases, trauma or pressure on the nerves, and medications. In particular, chemotherapy treatments have been known to cause peripheral neuropathy. The symptoms of peripheral neuropathy include numbness or tingling in the hands and feet, burning pain, sensitivity to touch, imbalance, and muscle weakness. Peripheral neuropathy is a condition that is specifically listed in Social Security’s Blue Book listings of impairments. To be found disabled based on the listing requirements, a claimant must prove that their condition meets or equals the severity level detailed in listing 11.14. Even if a claimant’s peripheral neuropathy is not considered severe enough to reach the threshold for a listing, they may still be found disabled due to the physical and mental limitations caused by their condition. For instance, a person whose peripheral neuropathy causes them to experience severe numbness/tingling in their hands and feet may be unable to perform even essential work activities, such as standing, walking, lifting, handling, grasping, or subtle manipulation. If these limitations are severe enough, it may be determined that the claimant is unable to maintain competitive employment. 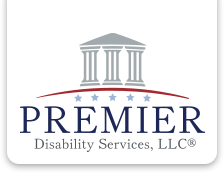 Premier Disability Services, LLC has extensive experience assisting claimants suffering from peripheral neuropathy with obtaining benefits. If you suffer from peripheral neuropathy and you are unable to work, please contact our office for a free evaluation of your claim.